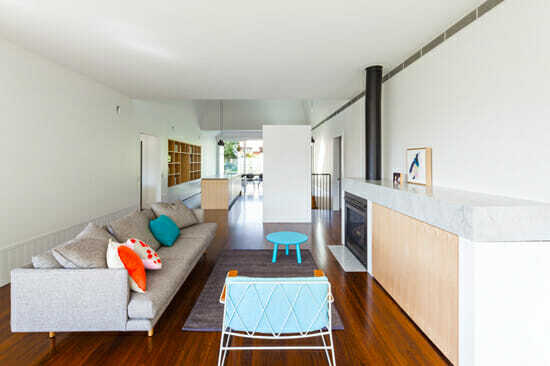 House Chapple By Tribe Studio Architects – Studios ArtSlope Pvt. Ltd. 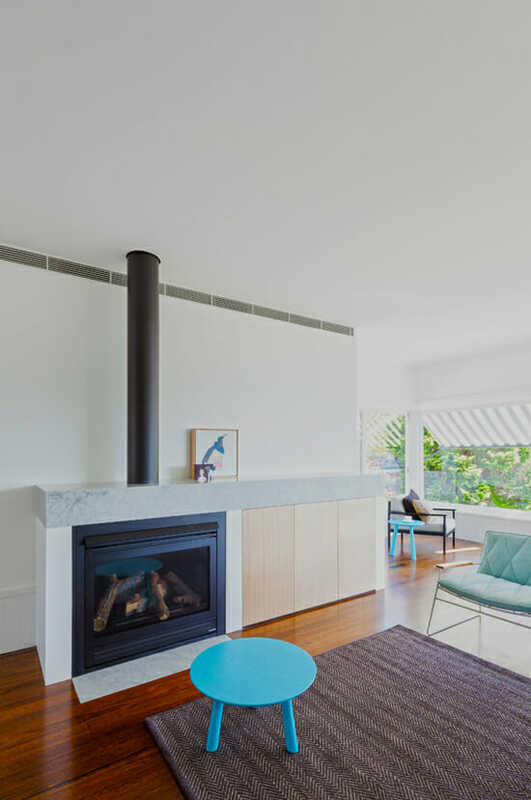 Located at near a harbor near mosman, New South Wales in Australia, the House Chapple is a house which is a renovated form of a 1960’s Bunglow which belonged to the client’s family. 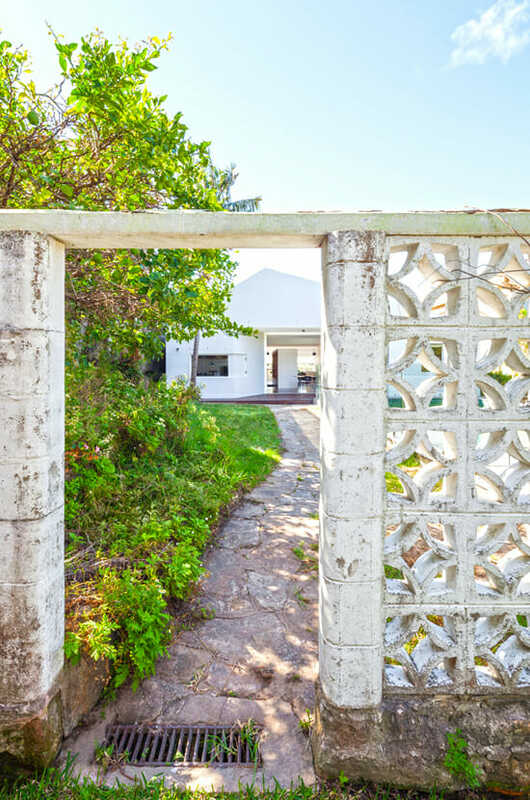 The Bunglow was originally built in the 1920s and a rear addition was built in the 1960’s when the property was bought by the client’s family from the previous owners. 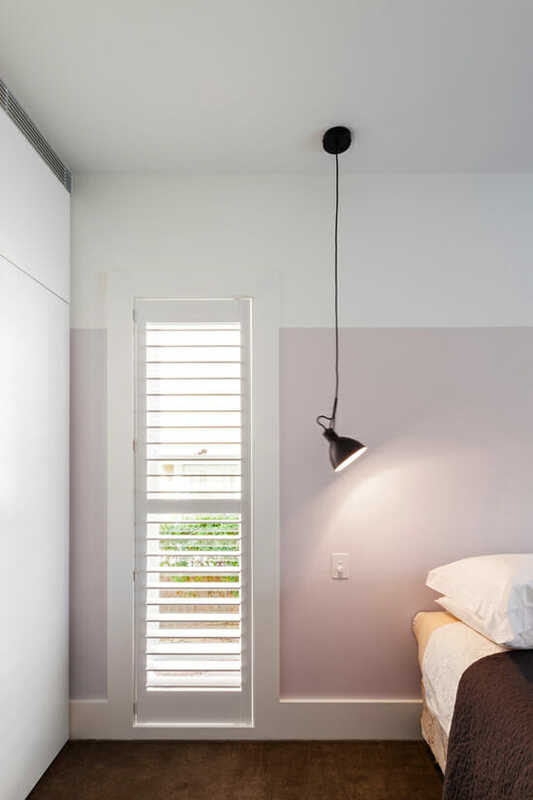 Designed by the architects from Tribe Studios, the designers wanted to achieve maximum sunlight in the house while maintaining adequate privacy. The important aspect of the design was to find the balance between the existing traditional architecture and the newer additions. Hence, the older 1920’s construction was retained and the 1960’s addition was replaced. The best above ground pool was dug in the backyard. The central part of the plan was carved out in order to provide the living spaces with clear views of the harbor and the garden situated at the back. 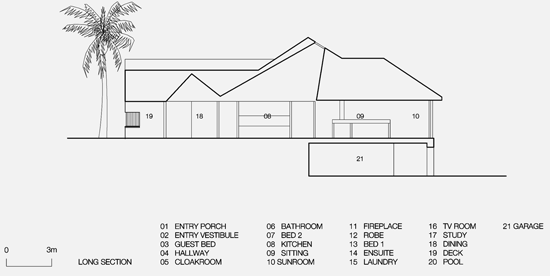 The living area is placed at the center with the bedrooms and utility on both sides. 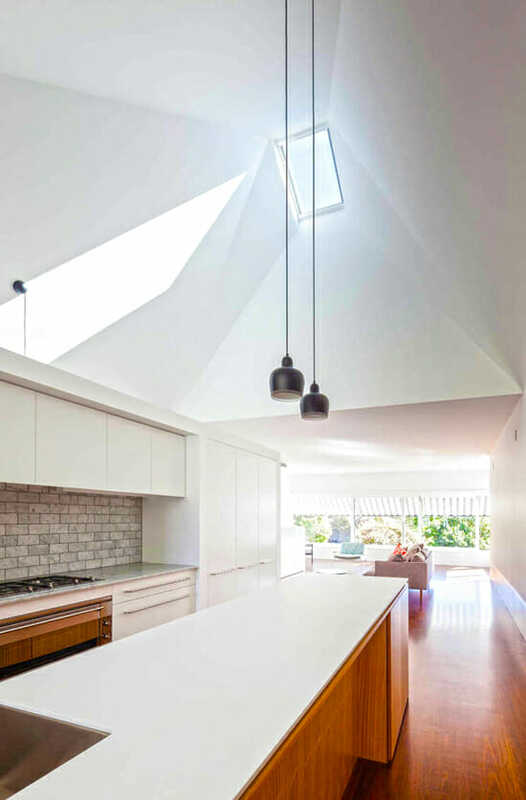 The ceilings above the living area were removed and replaced with pyramidal voids which allows ample amount of sunlight into the house. The master bedroom was placed strategically against an existing cliff facing the ocean and providing views to the orchid garden. 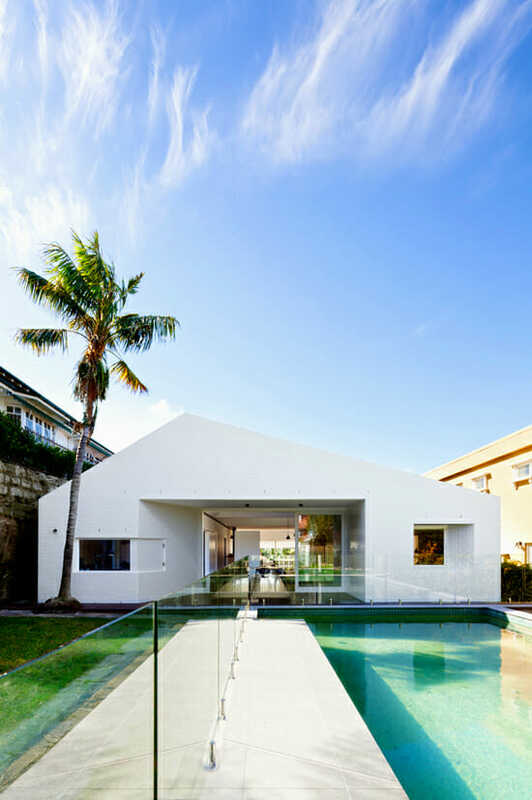 The face of the house was concealed from the street view for better privacy and provides minimal view from the front. 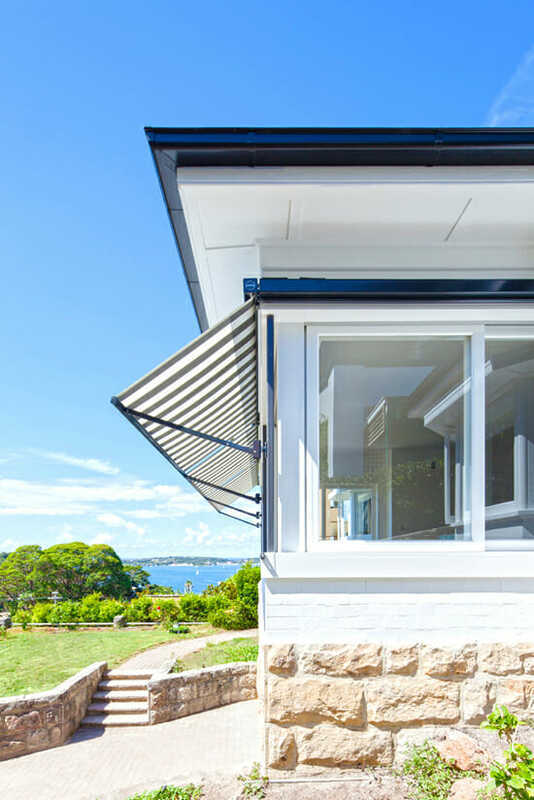 The design can thus be called as the perfect harmony between old school and modern architecture, while still maintaining the 1920’s exterior of the Bunglow with modern interiors. The construction was completed in 2013 and the design team consisted of Hannah Tribe, Miriam Green and Ricci Bloch. – Find more advice by designers here.